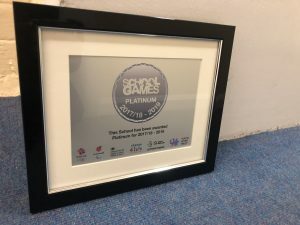 For the past several years, Hazelwood have been awarded the School Games award in ‘Gold’ for PE and Sport within school. It made Hazelwood eligible to apply for the highest accreditation they award which is the ‘Platinum’ standard. I am pleased to say that we were awarded platinum for the 2017/18 – 2019 academic year! 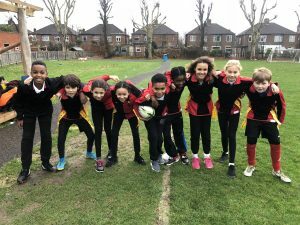 On Monday 28th January a squad of children represented Hazelwood School in another round of tag rugby fixtures at Raglan School. 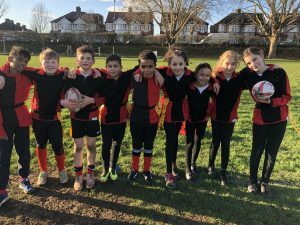 The children performed brilliantly, working well as a team and displayed great sportsmanship throughout. Well done to Nick, Harry, Theo, Kayan, Louie, Samia, Isabella, Emma and Josie!! 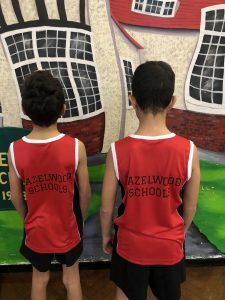 Hazelwood have invested a portion of the Sports Premium Grant to update the team sports kit when representing the school. We think the children will look wonderful and professional when representing Hazelwood, I’m sure you’ll agree! 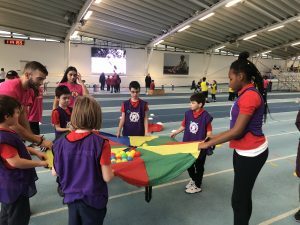 On Friday 7th December a team of KS2 children represented Hazelwood in the Enfield Borough Panathlon event. 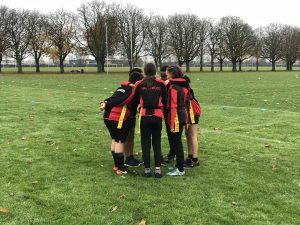 The children had to compete in a variety of aiming, throwing, hand eye coordination and running activities to earn points as a team. They were a credit to Hazelwood! Well done to Rhianne, Pierce, Patryk, Amilios, Jonah, Zain and William! 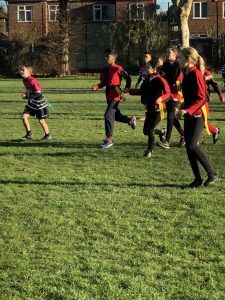 On Monday 3rd December a team of children from the tag rugby squad competed in the first round of the league fixtures. 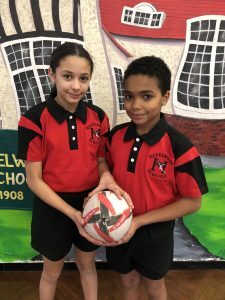 The team played against Raglan and St. Andrews Schools. Just as we were about to start, the heavens opened and it became very wet and muddy quickly! 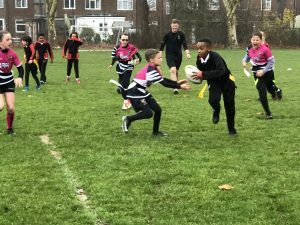 The children coped well in the conditions and managed to score some try’s from some good link up play. Well done to Isabella, Harry, Emma, Faye, Zach, Louie, Samia, Ryan and Sam. 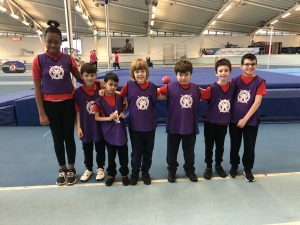 On Thursday 29th November the Sportshall Athletics team competed in the Enfield Borough tournament held at Lea Valley High School. 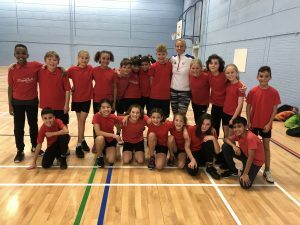 The children took part in various running, jumping and throwing activities. Their hard work and commitment paid off as they were the overall winners of the night!! This puts them through to the final on the 18h December. 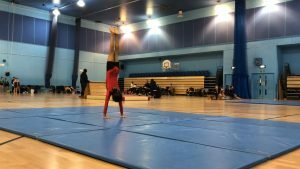 On Wednesday 28th November a team of children from Hazelwood competed in the Enfield Borough KS2 Intermediate Gymnastics Festival held at Edmonton Leisure Centre. 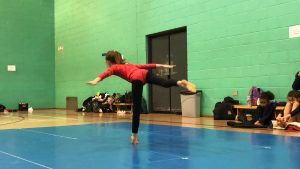 The children had to perform their routines and vault jumps twice infront of a panel of judges. 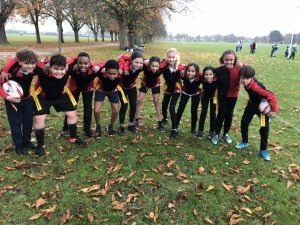 They performed brilliantly and finished 2nd in the Borough! 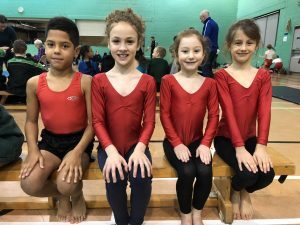 Well done to Isabella, Louie, Katy, Hivda and Nicholas! 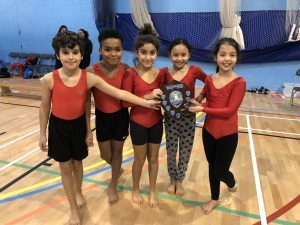 On Tuesday 27th November a team of children from year 3 and 4 competed in the Enfield Borough KS2 Beginner Gymnastics Festival held at Southbury Leisure Centre. 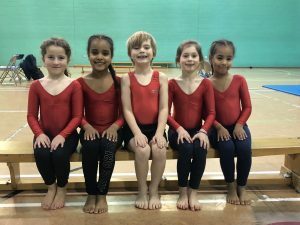 The children have worked extremely hard learning and practising a routine and different vault jumps. 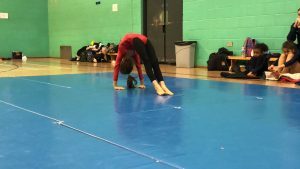 They performed their routines brilliantly and did Hazelwood proud! 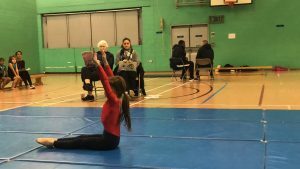 Well done to Amalia, Iris, Mia and Marley!! 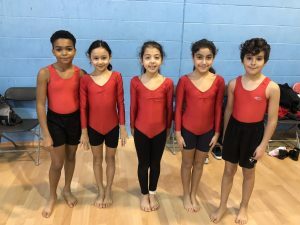 On Monday 26th November, five children from KS1 took part the Enfield Borough Gymnastics Festival held at Southbury Leisure Centre. 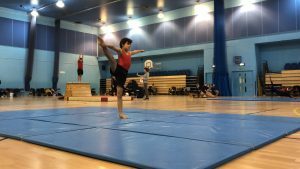 The children had been learning and practising a routine and a variety of vault jumps. They did amazingly well and finished in 2nd place!! 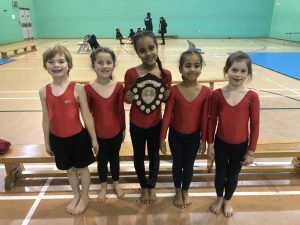 A huge congratulations to Amira, Karima, Jacob, Sasha and Betsy!! 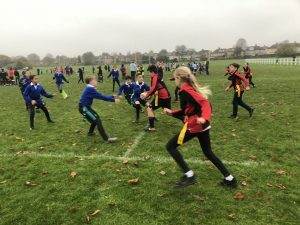 On Friday 16th November, a team of children from year 5&6 competed in the Enfield Borough Tag Rugby tournament held at the Enfield Playing fields. They played brilliantly as a team and won some matches too. A special mention to Samia Naji for her quick pace and silky skills! 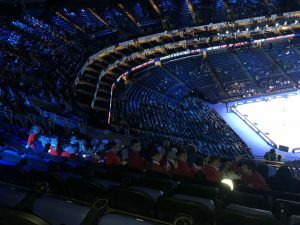 Well done to Jamie, Andrei, Ryan, Louie, Josie, Emma, Sophie, Elliz, Faye and Sam! 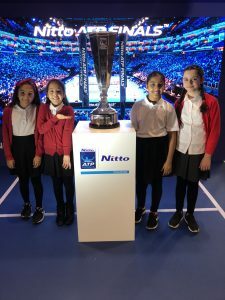 On Tuesday 13th November, pupils from year 5 & 6 were lucky enough to visit the O2 arena to watch the ATP tennis finals. Each pupil who was chosen had to write a letter of why they deserved to go on the trip. 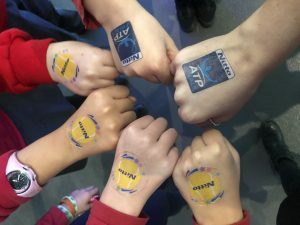 Ranging from children who had never played tennis and wanted to learn more to children who had been playing since they were 3! 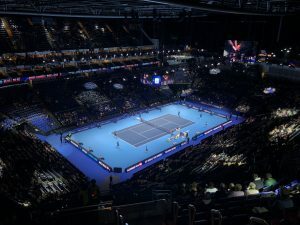 We had a wonderful day watching a Croatian/south African doubles match and an exciting singles match of Kevin Anderson and Yoshihito Nishioka. 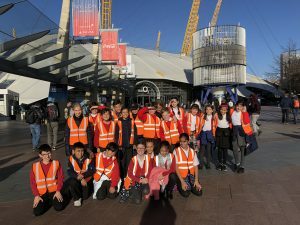 The children were a credit to the school and we had a fantastic day out! 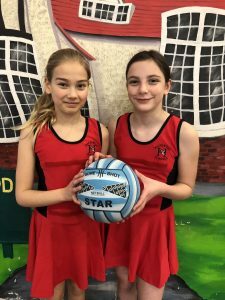 The Hazelwood’s Girls Netball team played their first fixture on the 2nd October against St. Paul’s. This was the first time that the girls had played together competitively. They started off extremely well with an opening goal from Emma Roberts. 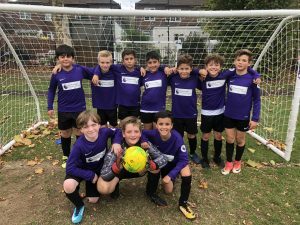 St Paul’s were persistent and managed to score with the game finishing 3-1 to St. Paul’s. 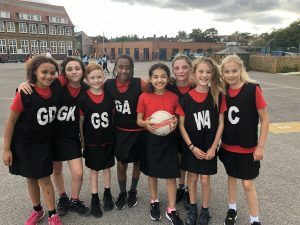 The girls played well as team and were a credit to the school. 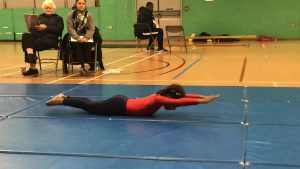 Well done to Faye, Alize, Emma R, Khione, Jayran, Josie, Ella and Emma S! 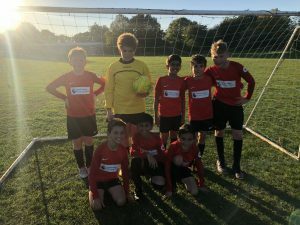 On Tuesday 9th October a team of Year 5&6 boys went along to compete in the Boys Football League held at Oakthorpe School. The boys started off playing against Garfield School which finished in a tight draw at 1-1. That game saw a superb strike from Oliver! Next, they played against Wilbury who were skilful on the ball but saw super goalkeeper Anthony make some great saves to keep them out. Hazelwood battled to the end but unfortunately the game finished 1-0 to Wilbury. Well done to Jamie, Anthony, Muhammad, Nico, Alan, Nirsel, Ryaan and Ollie! 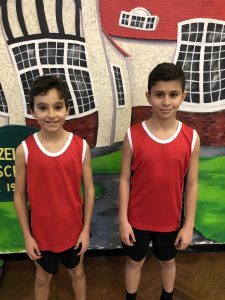 On Thursday 11th October a squad of boys from year 5&6 competed in the league against Raglan, Hazelbury and Eversely Schools. The first game saw a worldie strike from Kayan Ali and some superb goal winning saves from Daniel T! The next game against Eversley the boys played well as a team with some superb link up play. A solid header from Daniel K, a perfect penalty from Ayoub and two goals from Kayan saw Hazelwood victorious! The next game we faced Raglan and were down 2-0 at half time. The boys fought hard and managed to score two more goals, both teams showing brilliant determination and work ethic to try and clinch the game for their team. If only we had more time!! 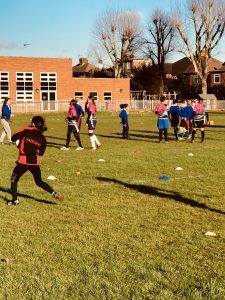 Well done to Theo, Albie, Ayoub, Daniel T, Daniel K, Ollie, Kayan, Alexi, Jordan and Jamie!